Target launches 3.1 Phillip Lim! Plus, Pixi makeup is awesome. So if you’re on any type of social media, you MUST have caught a glimpse of Target‘s newest designer collaboration by none other than Phillip Lim. The line is perfection, with everyday basics and recognizable patterns (animal prints! florals! solids!) that you would expect from the one of the most coveted designers out there. Take the party itself for example: all the big name fashion bloggers and editors made sure they were present for the pre-launch shopping event, not to mention some famous faces: Jessica Alba, Solange Knowles, Maria Sharapova, Emile Hirsch (to name a few). Sights from the party. Also Jessica Alba and I totes had a moment. 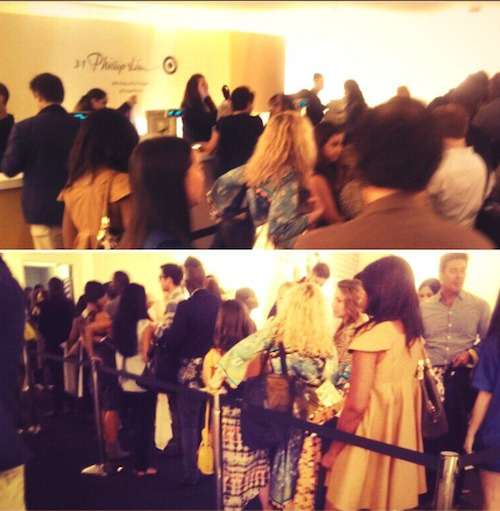 Afterwards, the room which which was filled to capacity with fashion-enthusiasts standing practically elbow-to-elbow (but no really, it was uncomfortably full), starting rushing for the line to check out all the Phillip Lim advanced goodies they could get their hands on. One room led to another, which led to a hallway, and a final room where it zig-zagged around to the registers (“it’s like waiting for Space Mountain” one of my friends quipped). BUT it was worth it. I nabbed a shirt, a sweatshirt, and sweatpants with zippers (basic, but think Lim is a genius for mixing comfort and style when designing for the masses). The collection is gorgeous and launches officially in stores on September 15th (mark that!). 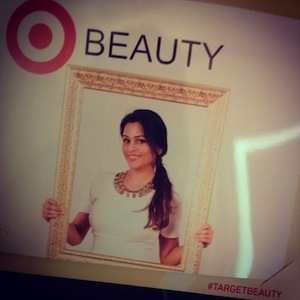 But for the beauty bloggers like myself, the fun started BEFORE the party — in Target’s Beauty lounge, where we were treated to makeovers and nails by Pixi and hair by Umberto. 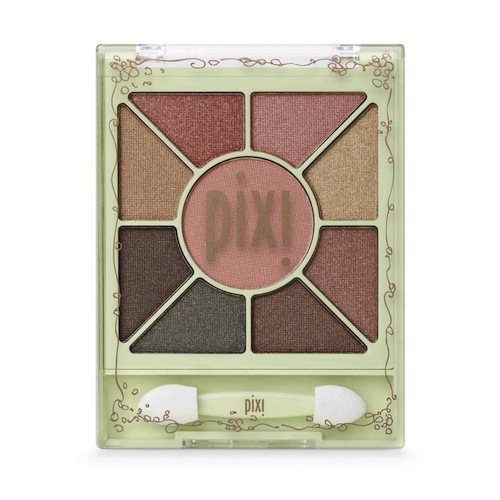 The makeup artist used a neutral palette on me (I just wanted a natural look), but all the artists were talking about Pixi’s eyeliners…”the best” they say, even compared to ones they have paid a lot more for. Pre-party shenanigans...what do I do with this frame? !